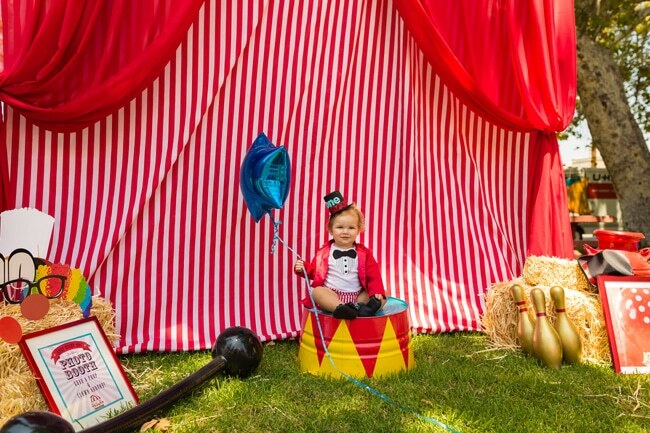 One lucky boy celebrated his first birthday under the big top with this Whimsical Circus First Birthday Party styled by 3 Little Birds Event Planning & Rentals. 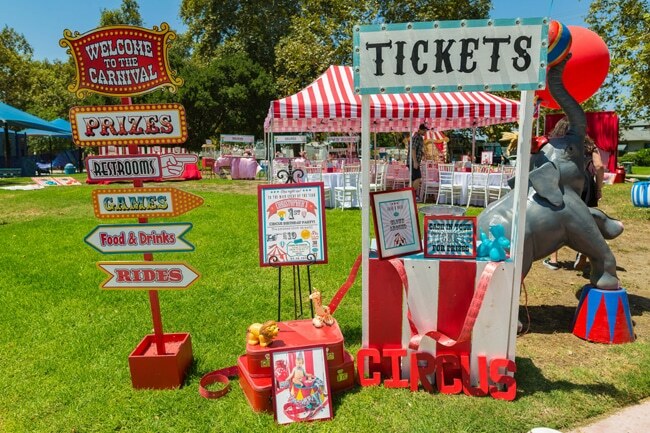 This party was full of circus fun with a big top circus dessert table, games, prizes, a circus clown, and much more! 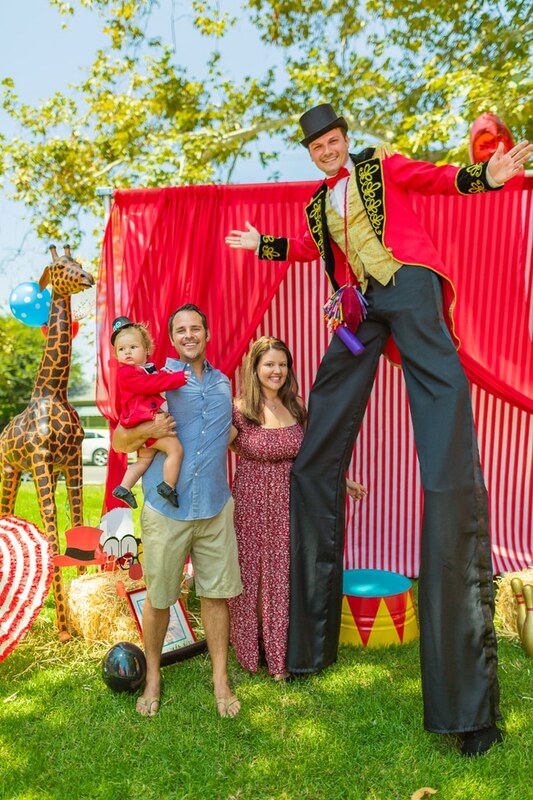 What an incredible 1st birthday party! 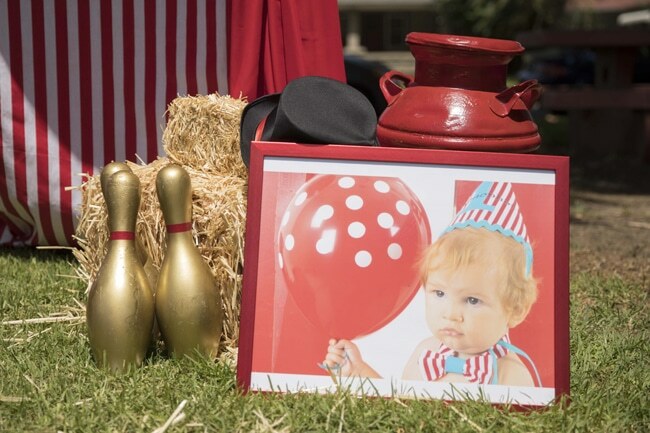 Party guests were greeted by a photo of the adorable birthday boy from his circus themed photo shoot. 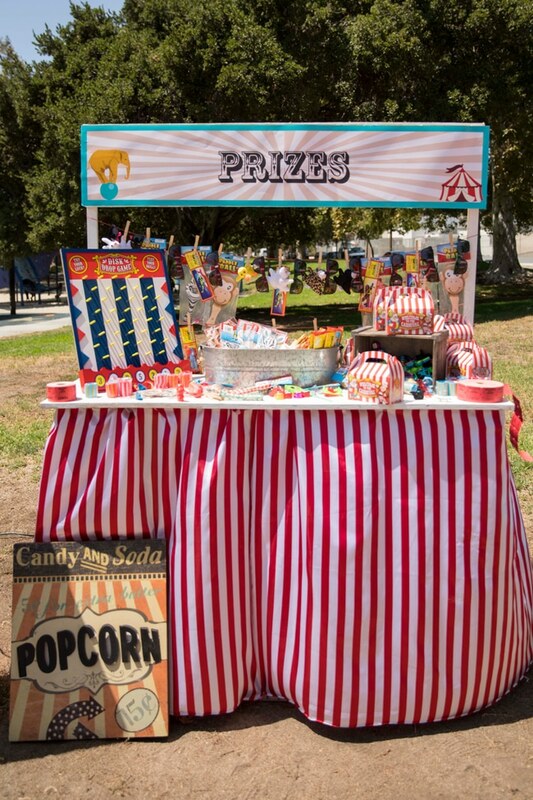 They were also encouraged to “clown around” and cash in their tickets for prizes at the ticket booth! 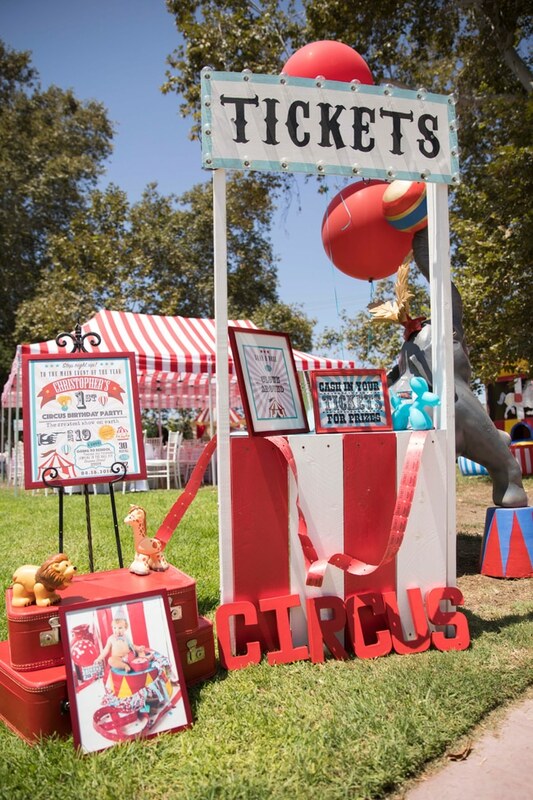 A circus themed photo booth was added to the fun as well. Look at the cute little birthday boy! He’s all ready for the camera! 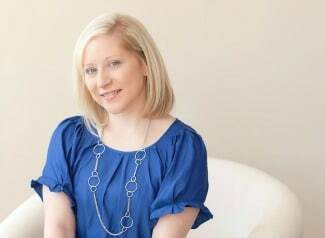 More adorable photos of the guest of honor could be seen throughout the party. 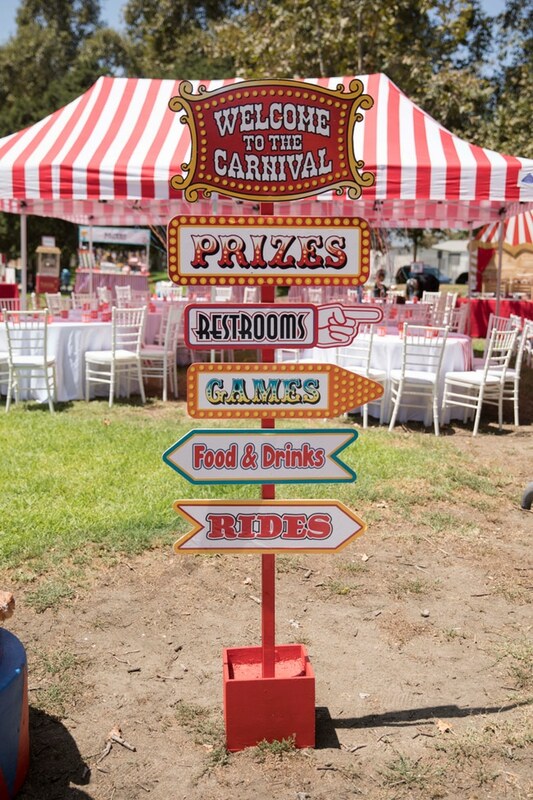 The “Welcome to the Carnival” sign directed guests to the food, drinks, games, prizes, etc. 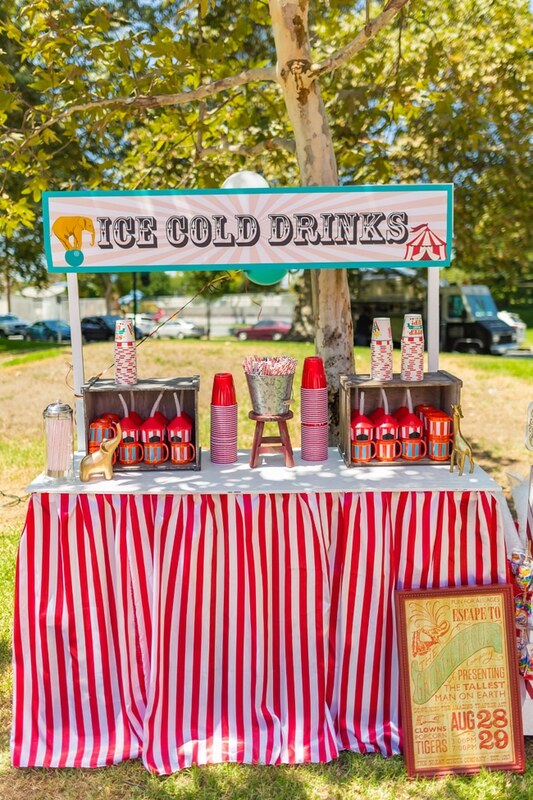 The dessert table was phenomenal with the big top circus backdrop! 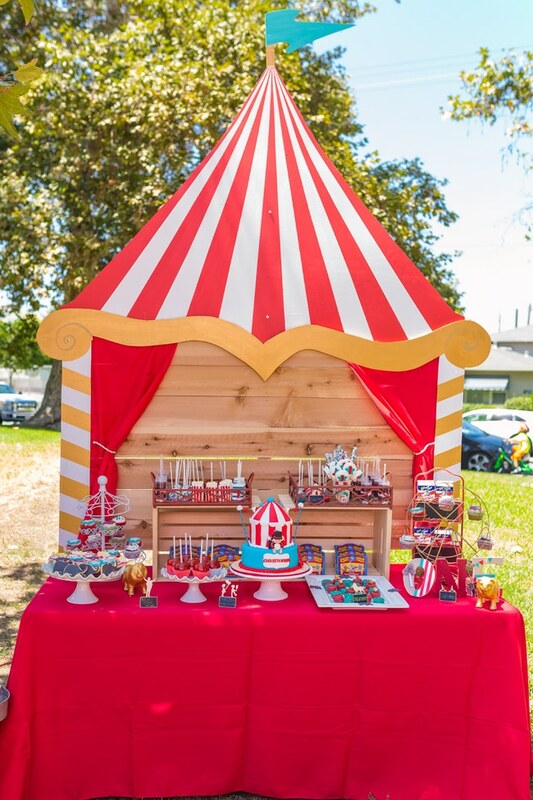 Desserts by K&J Kreations included the most awesome big top circus cake, candy apples, cupcakes, cookies, and more! 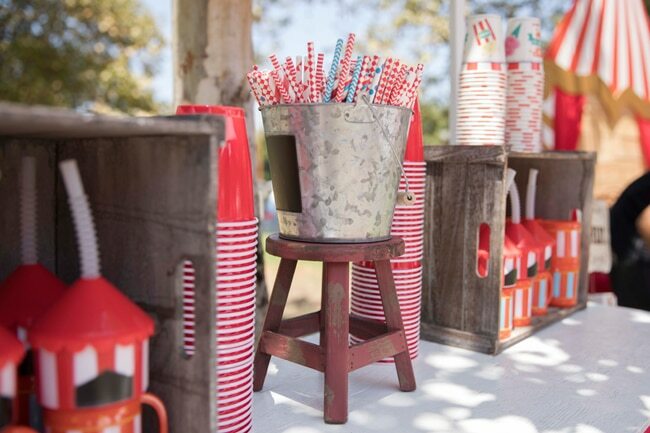 What a SWEET display! 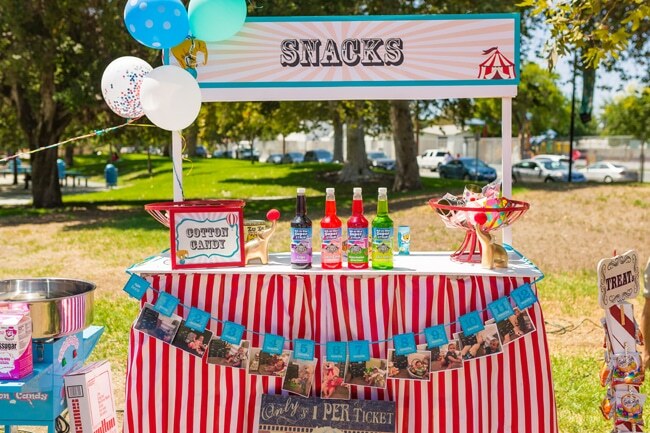 We just LOVE these adorable circus themed cookies! 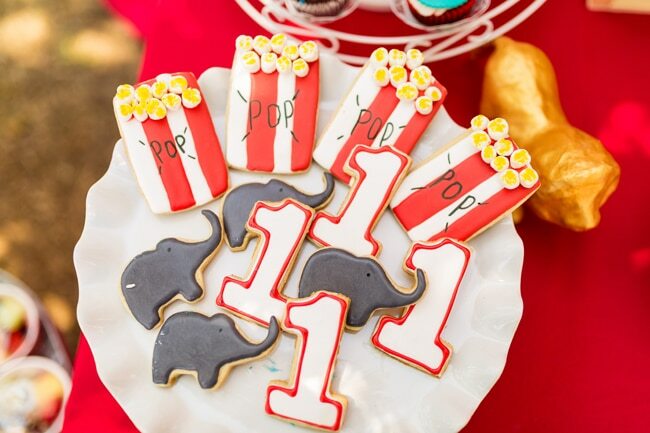 How cute are the popcorn and elephant cookies?! 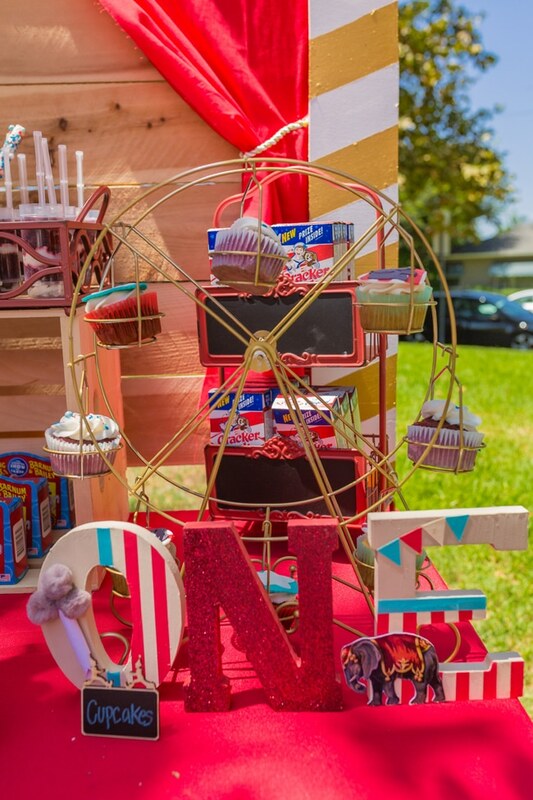 Cupcakes were displayed in a ferris wheel … too cute! 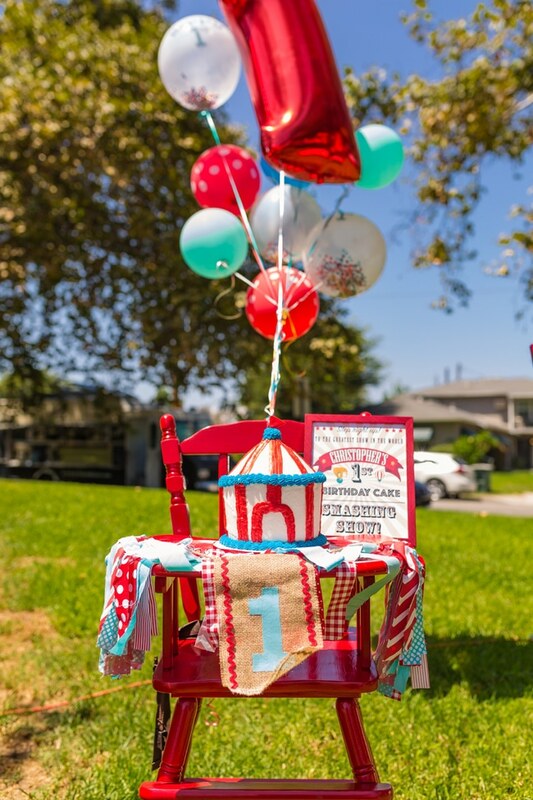 The birthday boy had his red highchair all decked out with a fabric and burlap one banner, balloons and a custom birthday sign! 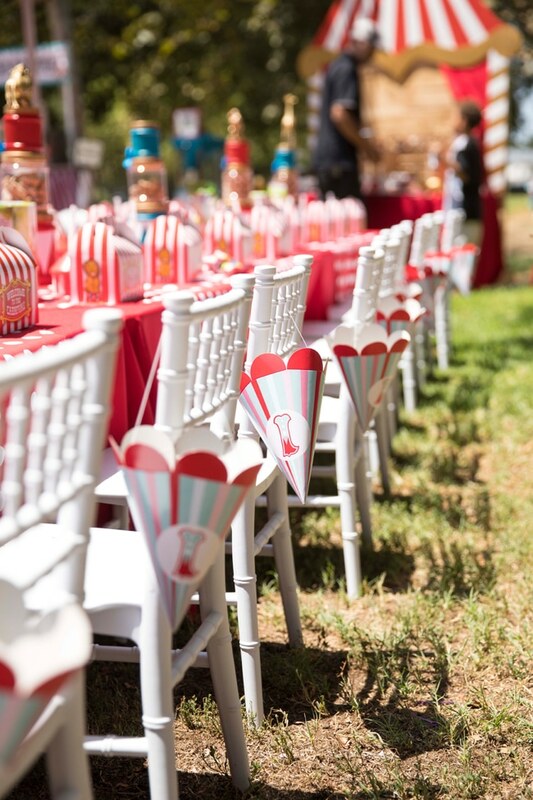 Tables were dressed with red and white polka dot linens. 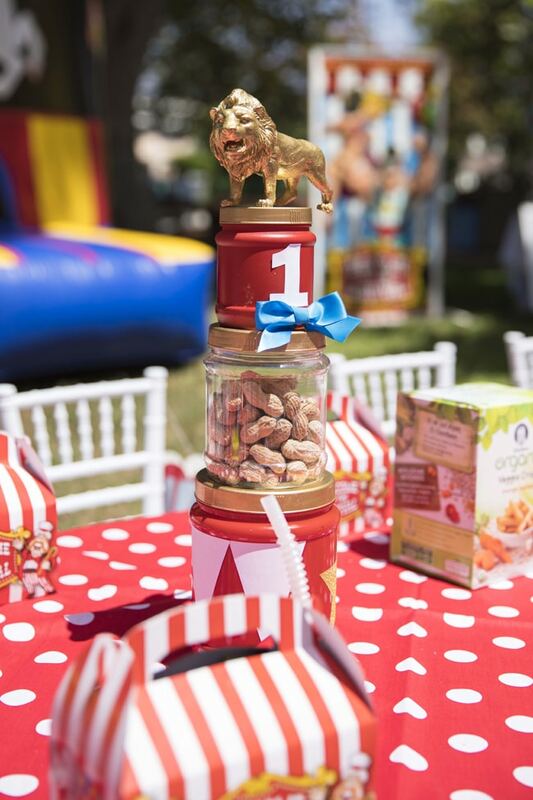 Centerpieces included stacked jars filled with peanuts and topped with circus animals! 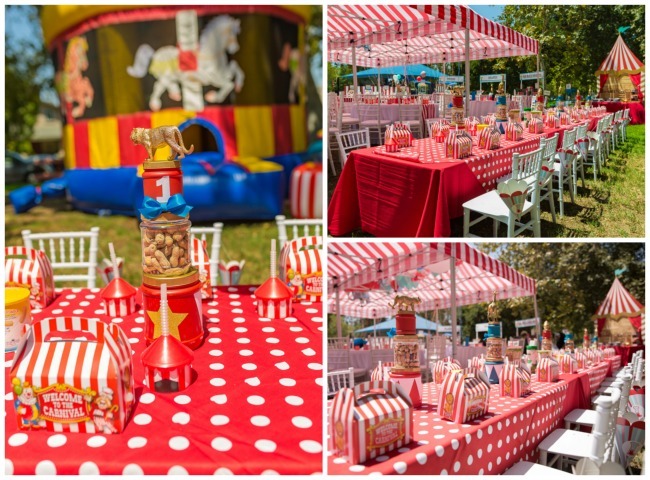 What a Whimsical Circus First Birthday Party! 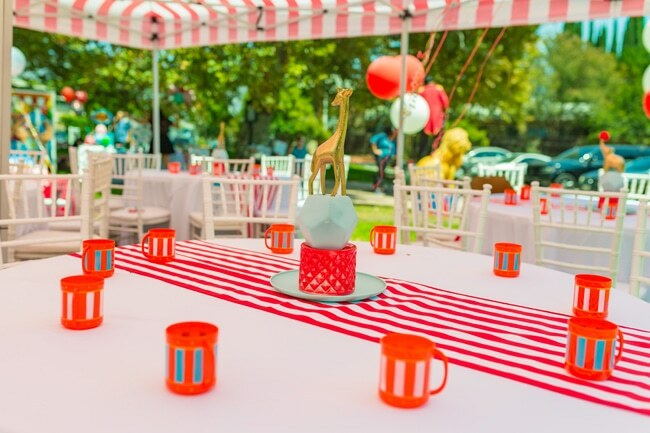 Each place setting had a festive circus birthday hat and circus themed favor box filled with goodies! Guests who visited the snack station for some cotton candy got a chance to look at the first year banner of the birthday boy! 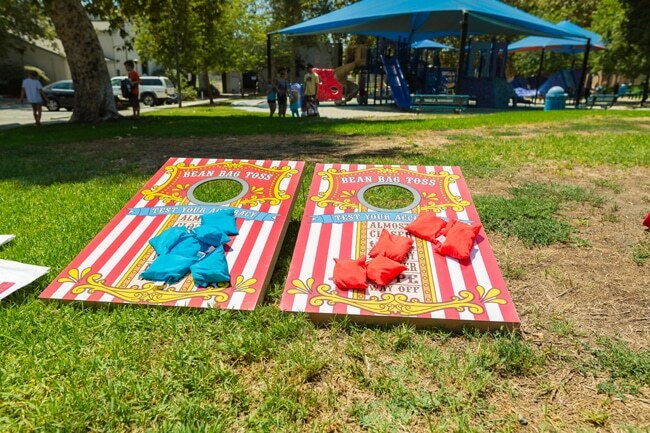 Games included bean bag toss, can toss, pie in the face and duck fishing! 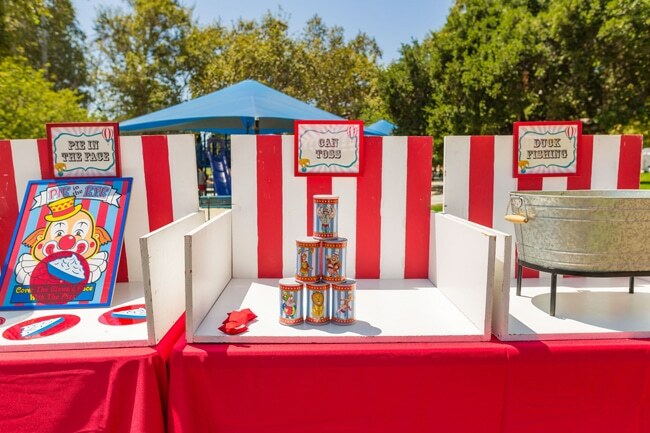 Guests then visited the prize station to pick their prizes! 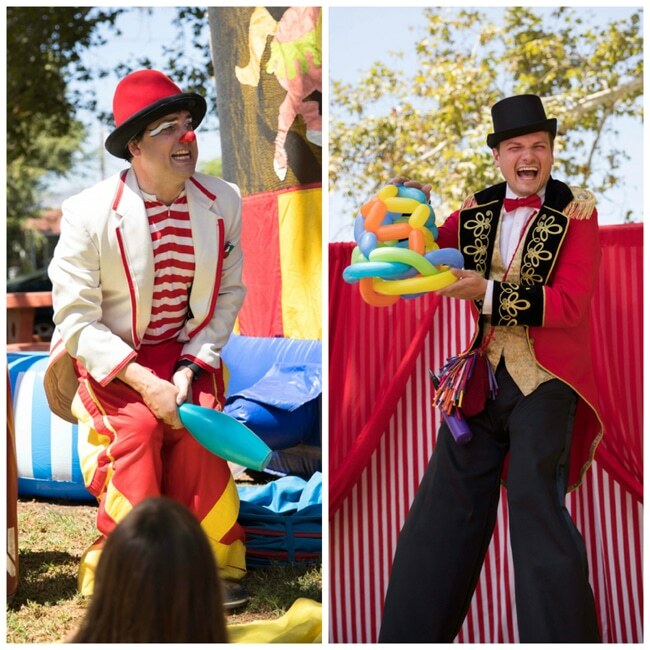 Guests were entertained by a circus clown and the tallest man! 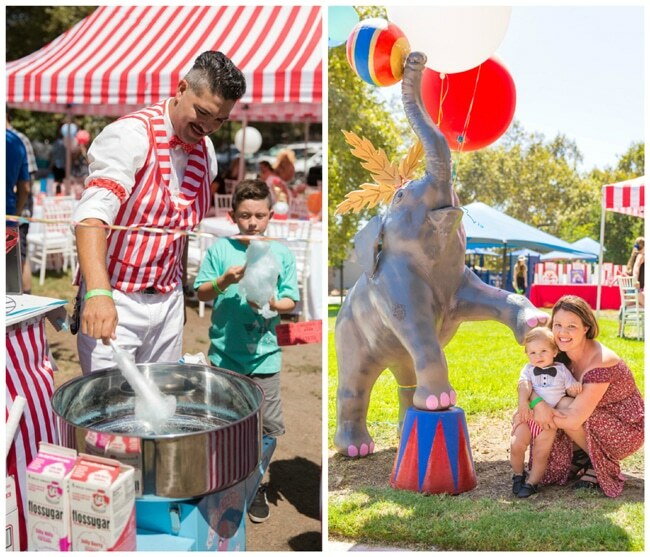 Friends and family were also treated to everyone’s circus favorite … cotton candy! 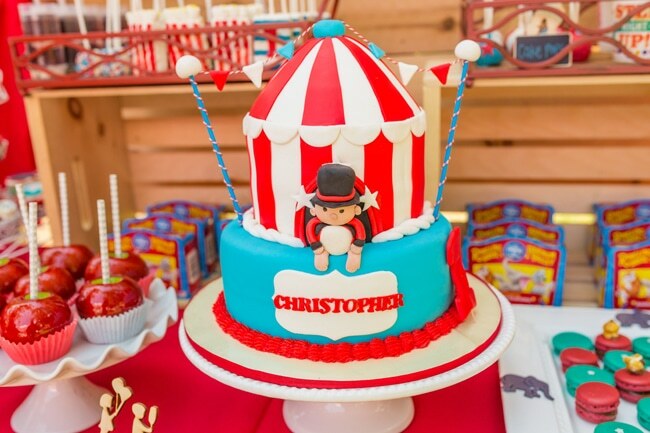 It looks like the guest of honor had an absolute blast at his Whimsical Circus First Birthday Party! What an amazing celebration with family and friends! 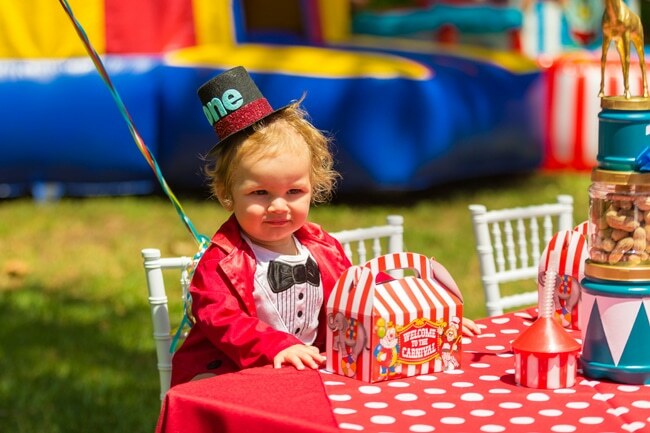 We can’t wait to see this little guy’s second birthday party! 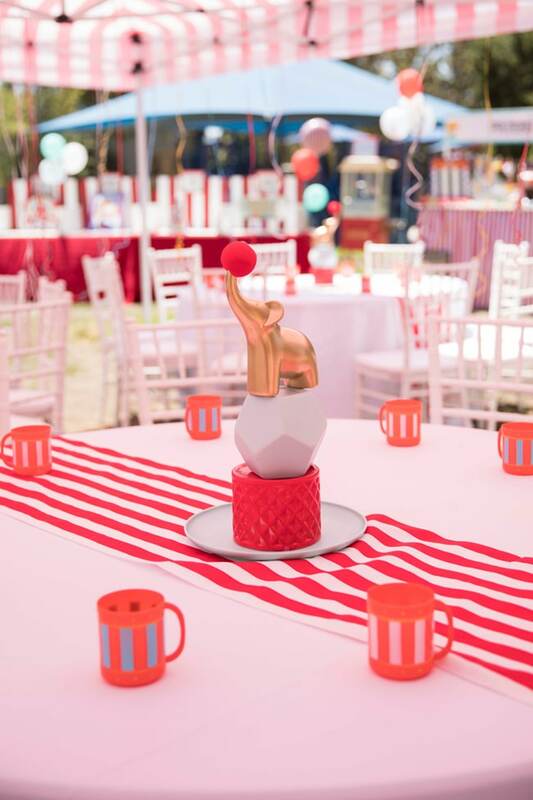 What are your favorite details in this Whimsical Circus First Birthday Party?! Let us know in the comments below!